We invite you to the Pula Virtual Reality Experience walking tour, so that you may experience Pula in a completely new and different way with the latest VR-Technology, using virtual glasses, VR-Application and digital map. Take a walk through the old city center, stop at the seven viewpoints, put on your VR glasses and immerse into the visual and auditory experience of ancient Pula and see what it looked like 2000 years ago. 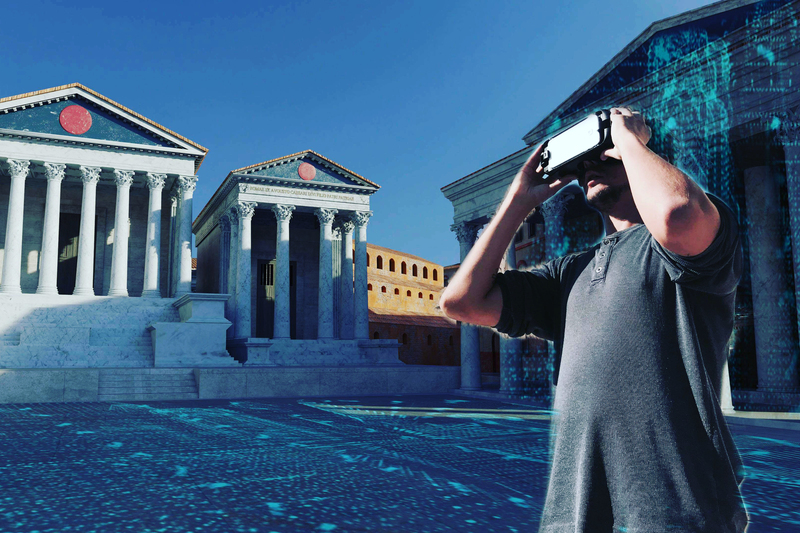 There are seven viewpoints in Virtual Reality in Pula, set at the following locations: two at the Triumphal Arch of the Sergi, two in the Forum and three near the Arena. Two more viewpoints are being created: one near the Arena and one at the Small Roman Theater. Both guided VR tours with a licensed and specialized guide, and self-guided tours are available. VR tours and glassed may be booked via internet on the official website (www.virtualrealitycroatia.com) or purchased at the office in the DOLIJA OLIVE OIL SHOP, Narodni Trg 3, 52100 Pula – from May 1, 2018 to October 31, 2018. The price of the Pula VR Experience Self-guided Tour is 190 kunas (26 euros) per person, whereas the Pula VR Experience Guided Tour costs 360 kunas (49 euros) per person. This unique walking tour of Pula was created by tour operator Krug Travel from Opatija. Starting at our office at 09:00 AM. Available all year long at our office.